The three-part drama series, which aired Tuesday November 27th, was filmed on location in Northern Ireland and received funding from Northern Ireland Screen supported by the Department for the Economy. 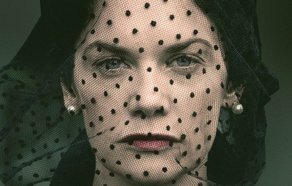 Award-winning actress Ruth Wilson (‘The Affair’, ‘Luther’) and ‘Game of Thrones’ actor Iain Glen star in ‘Mrs Wilson’, a new original original series about the life of Wilson’s own Grandmother. Alison Wilson (Ruth Wilson) returns home to find husband Alexander (Iain Glen) dead. Blinded by grief, Alison is bewildered when a woman unexpectedly arrives at the door, claiming to be Alec’s ‘real wife’ Gladys (Elizabeth Rider). Wilson had been carrying around the story with her for several years, wondering whether she should, or could, tell it on the screen. This complex tale of espionage, betrayal and polygamy is a co-production from BBC One and British production company Masterpiece Productions. The second episode of Mrs Wilson will air on BBC One on Tuesday, December 4th at 9.00pm.